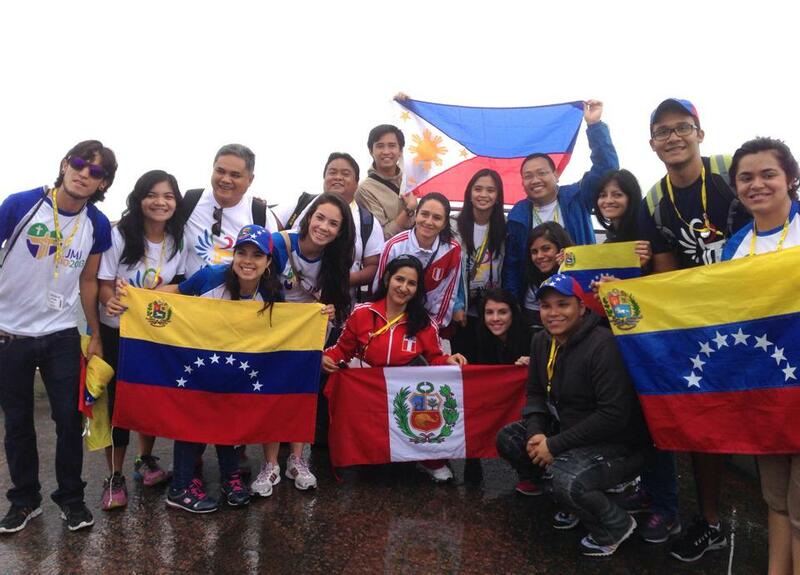 ROME – Panama receives Pope Francis and welcomes the thousands of young pilgrims from 140 countires participating in the World Youth Day (WYD). These days “Panama becomes the youth capital of the world.” Everywhere you find groups that carry the flag of their countries. They identify themselves with phrases and logos stamped on their shirts. They sing and laugh. They take pictures without ceasing to record their experiences and dreams. It has been a very pleasant experience to participate in the Augustinian Recollect World Youth Day (ARWYD) and in the WYD. Being with the young Recollect Augustinian Youth (RAY) creates new desires to live, love, and serve; it spreads hope and joy. 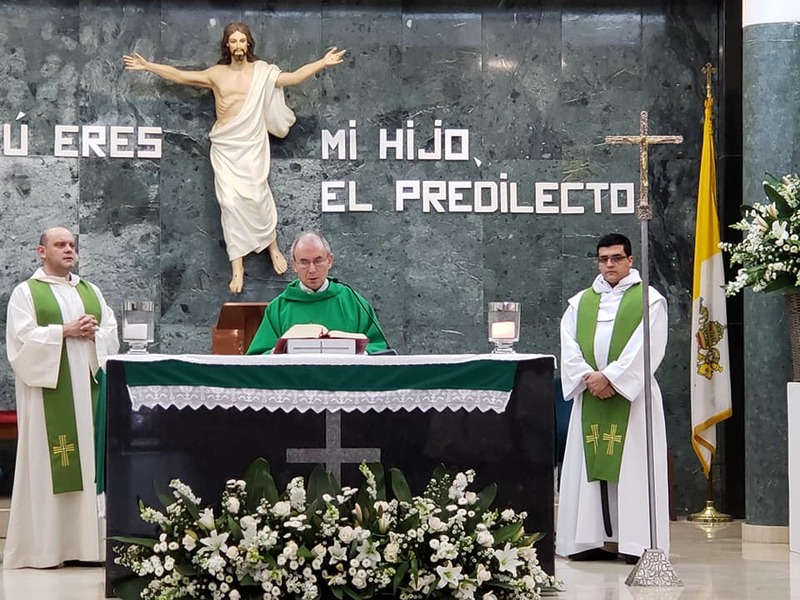 Three days before the arrival of the Pope, 350 young people of the Augustinian Recollect Youth from eleven countries gathered at Colegio San Agustín in Panama City. Three intense days of prayer and living together, catechesis on mission, communication and the Augustinian Recollect identity. In the evenings the typical songs and dances of each country were shared. In Panama, the Vocation Fair has been prepared in which young people from different congregations and institutions explain their charism. The Augustinian Recollects are also there. Through social networks and the media, many young people who wanted to come and were unable to attend have been reached. The volunteers of Panama, the Colegio and the team of the General Secretariat of Vocations and Youth have organized this meeting in detail. In the opening Eucharist of the ARWYD, I proposed to the young people to dream new ways. I reminded them of the logo they had prepared and the Augustinian motto that they had proposed: “Mary bore Christ in her womb; we carry it in our heart” (St. Augustine, sermon 189.3). It is a motto that is in keeping with the theme of the WYD, “Behold the handmaid of the Lord, let it be done to me according to your Word” (Lk 1:38) to encourage them to open their hearts and take Mary, the mother of Jesus, as reference. If we let ourselves be guided by her, Panama will not be a passing experience. She teaches us to carry Jesus in our hearts. Jesus is the one who moved the heart of Augustine and is the one who today also moves us to have “one soul and one heart directed towards God”. With Mary, the experience of Panama will become Gospel, mission and solidarity service, in whatever place we may find ourselves. The Pope from Panama launches a message of hope, solidarity and peace. A message that reaches the hearts of young people and of all those who are simply willing to open their hearts to Christ and live the joy of the Gospel.